The anticipated Apple media event, held in familiar surroundings in San Francisco, has come and gone, and judging by the permanent grid lock on all of Apple’s online and telephone sales channels, it looks as if it has left the iPad-loving public very happy indeed. The event brought everything that we had anticipated, throwing very few curveballs and unfortunately lacking the drama of the famous "one more thing" which we had become so used to hearing from the late Steve Jobs. We got the welcomed upgrade to the Apple TV digital media receiver which brings a new streamlined and elegant user-interface, as well as 1080p video streaming and Blu-ray quality media from the iTunes Store. We got updates for all of Apple’s stock applications for the iPad, as well as feature additions and updates to the their GarageBand and iMovie applications, as well as their iWork suite of apps. We have even welcomed a brand new, purpose-built iPhoto application to the App Store which is designed to harness the power of the next-generation iPad. And then, we got what we had all really tuned in for – the new iPad. The device itself brought a majority of features which we had been expecting, including a beautiful Retina display, containing 3.1 million pixels, the A5X processor with quad-core graphics and the very welcome 4G LTE connectivity. Rather bizarrely, what we didn’t get, is a name to go with the new tablet device. 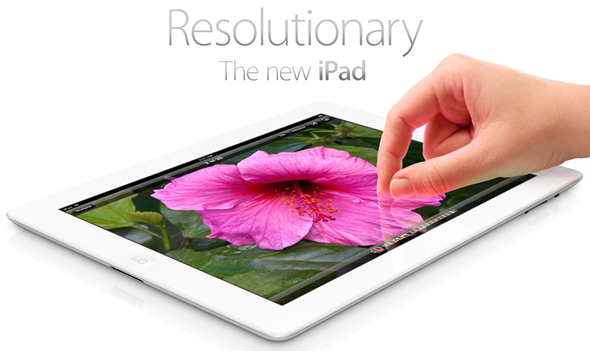 The rumor mill had been bursting at the seams on the run up to the event with the so called ‘sources in the know’ predicting that the iPad would be christened the iPad 3 moniker, while others insisted it would the iPad HD. To pour water all over their fire, Tim Cook and Phil Schiller excitedly introduced us to the tablet, but neglected to share any specific, dedicated name for it. 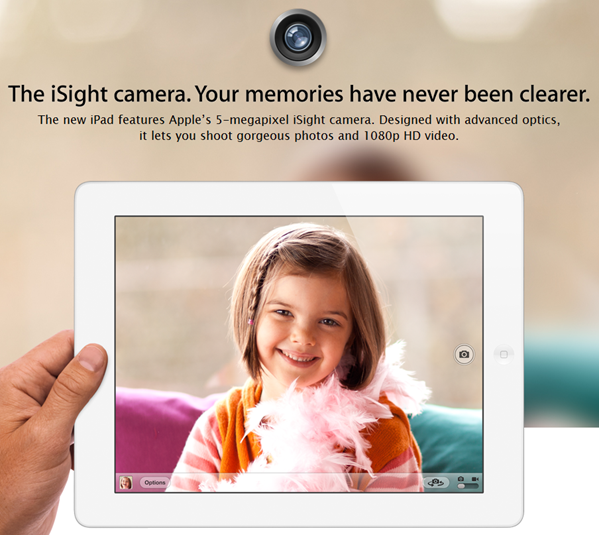 Throughout the whole event, the Apple duo referred to it as "the new iPad", with no hint whatsoever of the iPad 3 or iPad HD moniker. When questioned about the lack of dedicated name, and the reasons why at the end of the presentation, Phil Schiller gave the simple reply "because we don’t want to be predictable". As you might expect, the fact that Apple haven’t given this product its own name has prompted many to throw insult towards the company, with some even claiming Tim Cook has made his first corporate mistake which will ultimately end up causing mass confusion amongst consumers. It does seem to be a bit confusing, when you have a product evolution naming is a way to differentiate. I don’t suppose we will ever know if Apple did intend to call the new tablet the iPad 3 or HD and changed their minds to give the impression of unpredictability. Regardless of the theory behind it, it is highly unlikely that a simple lack of a model or generation number will hurt the sales of a device which has been so widely well received and looks certain to break previous iPad sales records.